SPC Collaborative Labs, 13805 58th St. N.
Mellow Mushroom, 2630 Gulf to Bay Blvd. Alumni and class members are invited to attend this social after Health Day. Light appetizers will be served and a cash bar available. Bubba Gump’s Shrimp Company, 185 Boardwalk Pl. 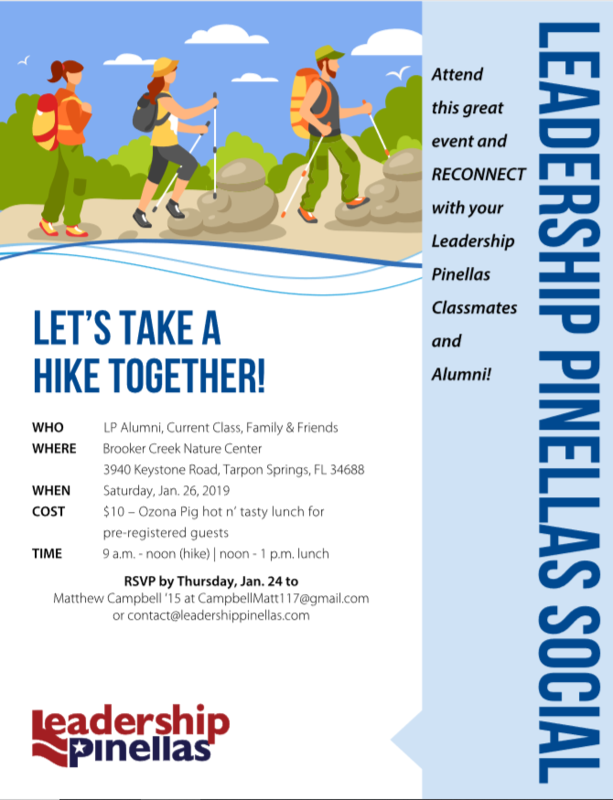 Alumni, Class of '19 and guests are welcome to explore and enjoy the beauty of Brooker Creek Nature Preserve. Hike up an appetite and stay for lunch provided by Ozona Pig. Cost is $10 per person. 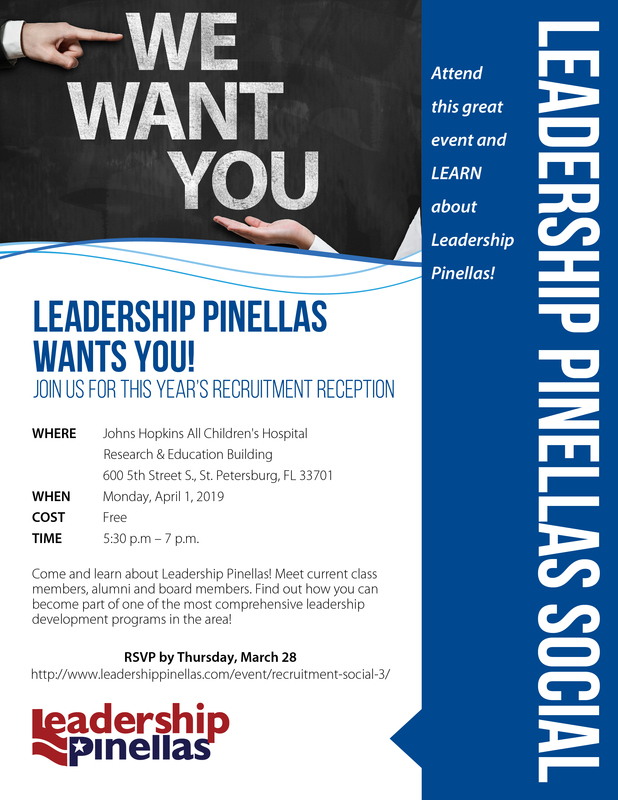 RSVP no later than Thursday, January 24th. 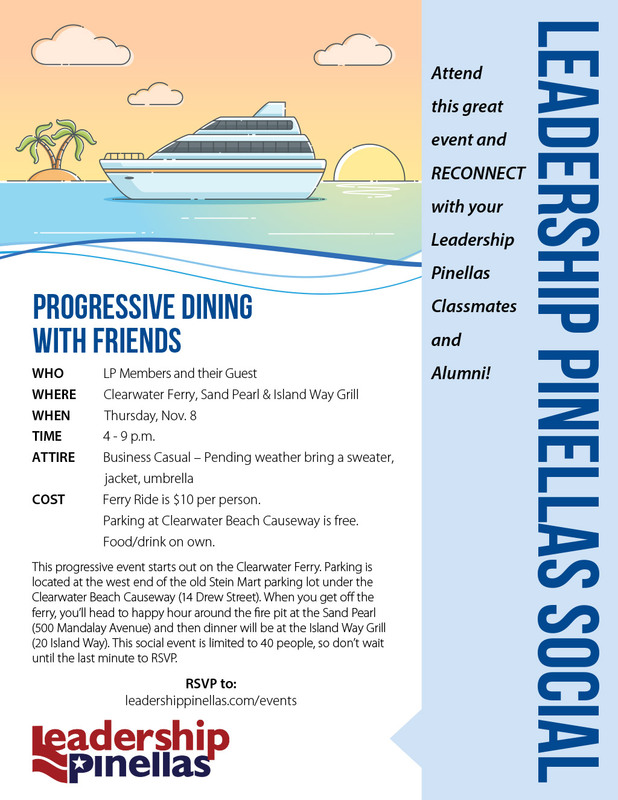 Alumni and class members are invited to attend this social after Education Day. Light appetizers will be served and a cash bar available. 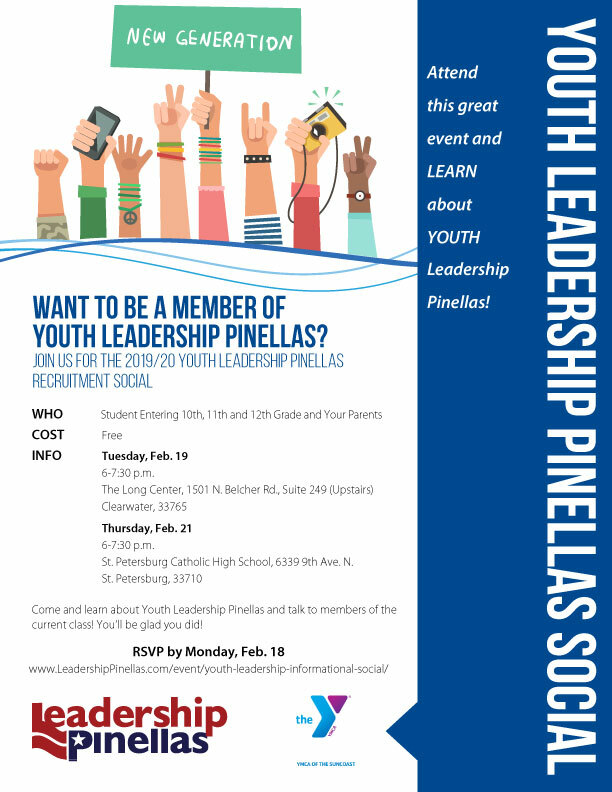 High school students entering 10th, 11th, and 12th grade along with their parents are invited to attend this event to learn more about Youth Leadership Pinellas. Details on the application process, requirements and schedules will be available. 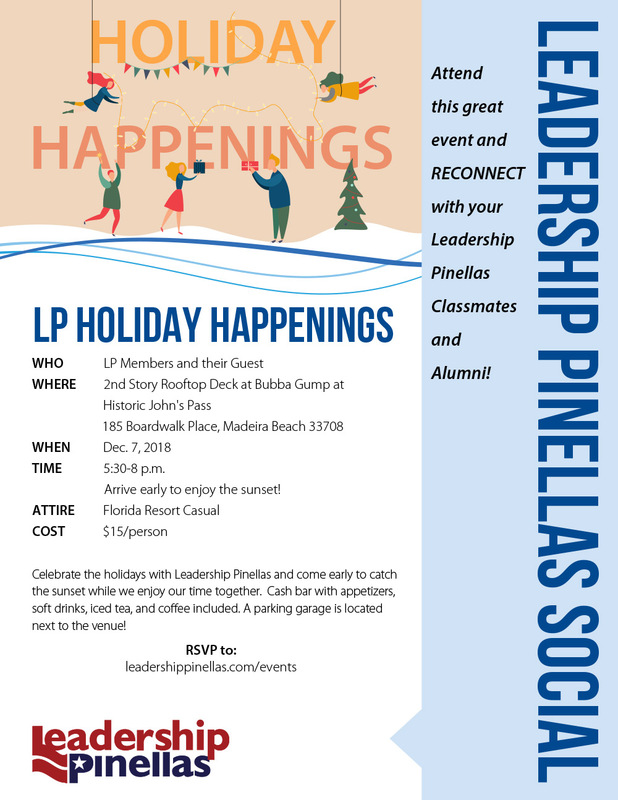 Talk to program coordinators, alumni, and current members of the YLP program. 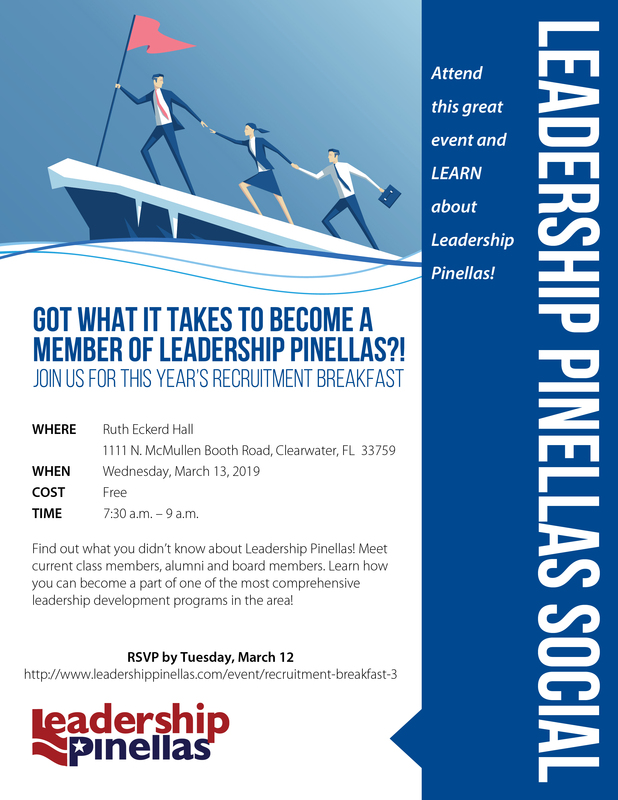 St. Pete Catholic High School, 6339 9th Ave. N.
Learn more about the Leadership Pinellas program and meet board members and alumni at this breakfast social. 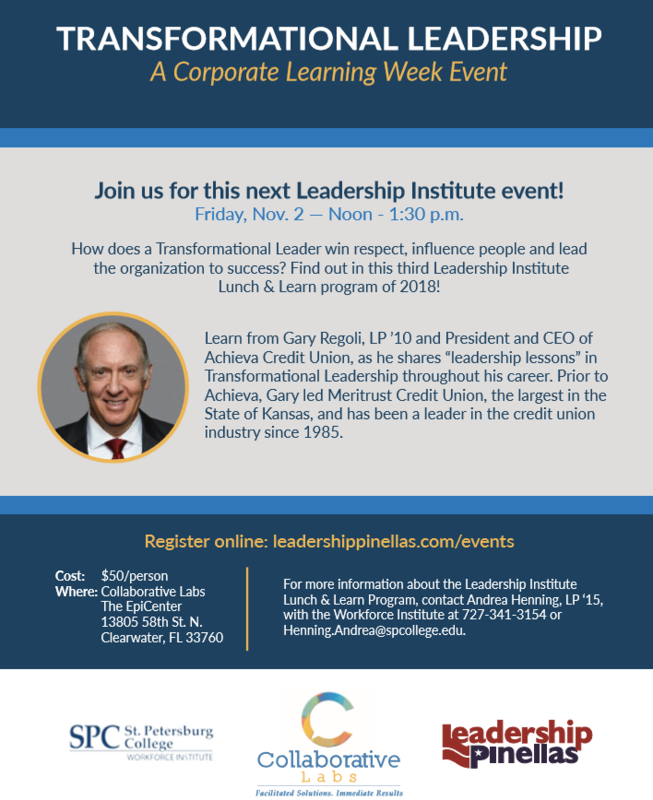 There is no charge to attend, but RSVP is required. Johns Hopkins All Childrens Hospital, 600 5th St. S.